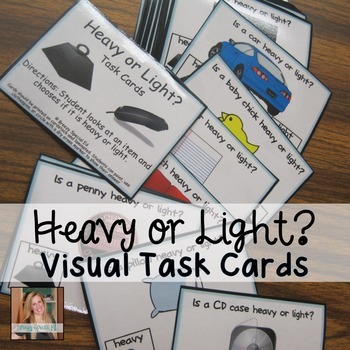 I absolutely love using task cards for my special education students. 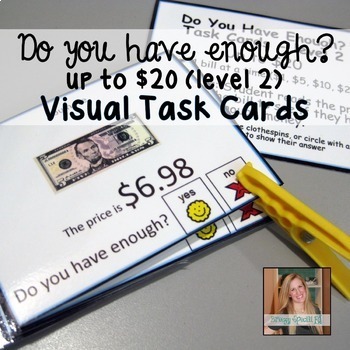 They are easy to store, easy to use, and great for practicing a wide variety of skills! 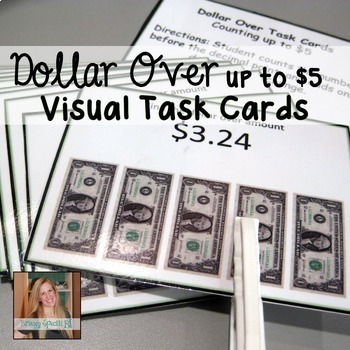 They can be used during direct instruction, for independent work, and in TEACCH / work boxes. 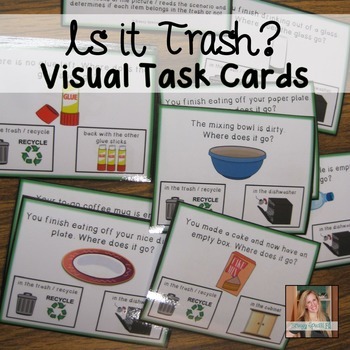 Plus, I've created my task cards to be used for non-readers as well as readers so they can be used by any students in my classroom who are working on those skills. 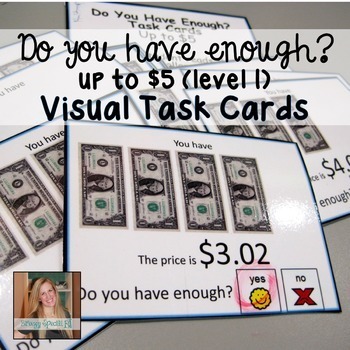 I have a range of money task cards, great for my higher level students. 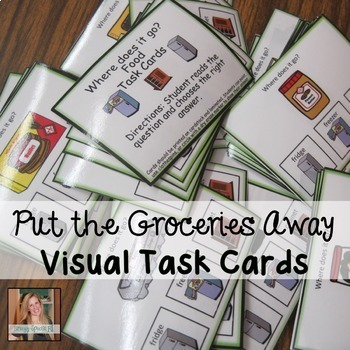 And I have functional life skill cards, great for both low to high students, including simple concepts such as male or female and more complicated concepts, such as determining if food goes in the cabinet, freezer, or fridge. 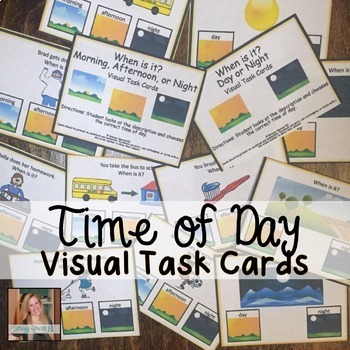 Check out this video to see all of my task card sets and to hear about how I use them in my classroom. 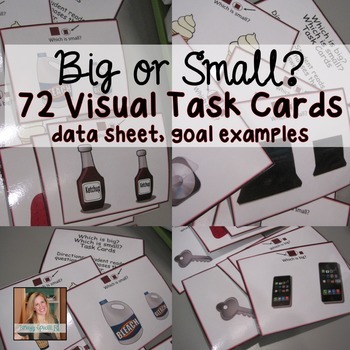 Here's all of the task card topics that I currently use! 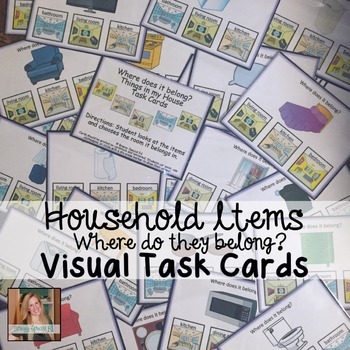 Click on the picture to check out each task card set. Want them all? 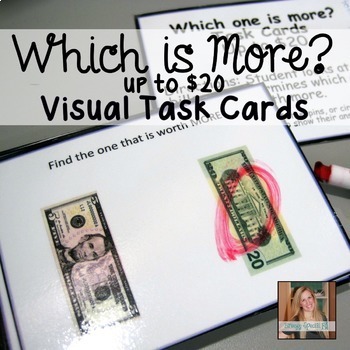 I have two great money saving options for you!! 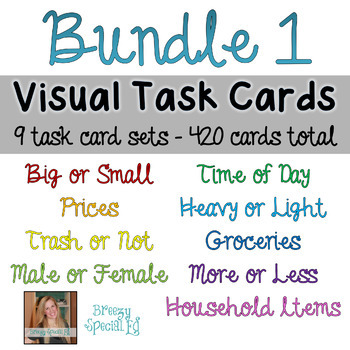 Buy all 9 (non-money task cards) in this HUGE BUNDLE! 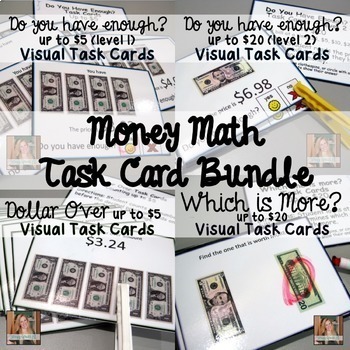 Interested in the 4 money task cards? They are bundled HERE. 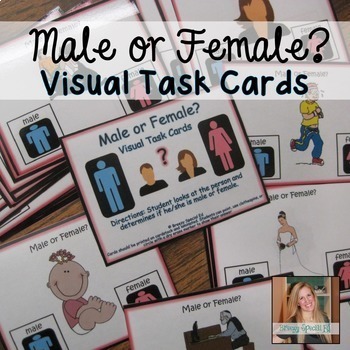 Do you use task cards in your classroom? 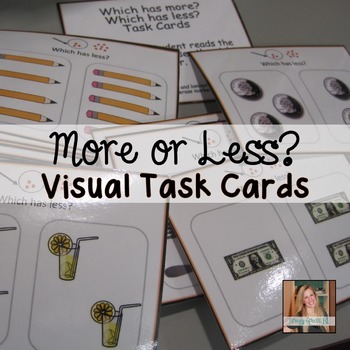 Do you have another idea for task cards? I'd love to help you out, so let me know what you need. 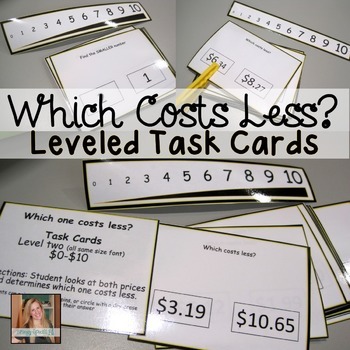 I'm sure my students would benefit from it as well!